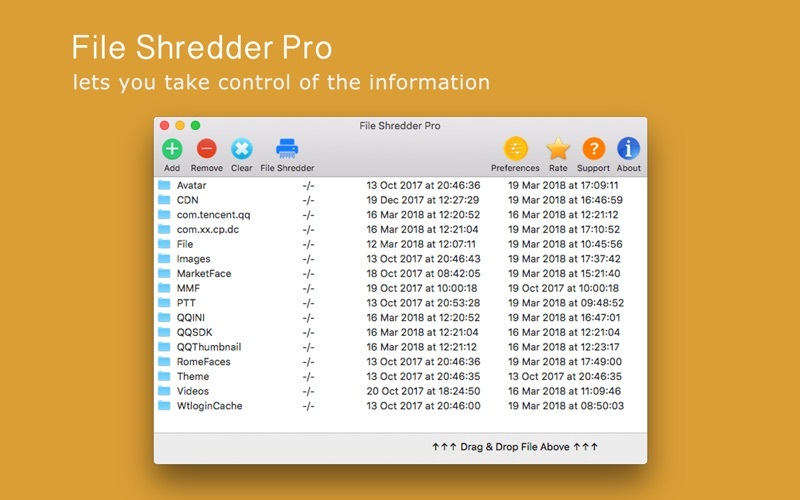 File Shredder Pro you can remove files from your Mac without fear they could be recovered. 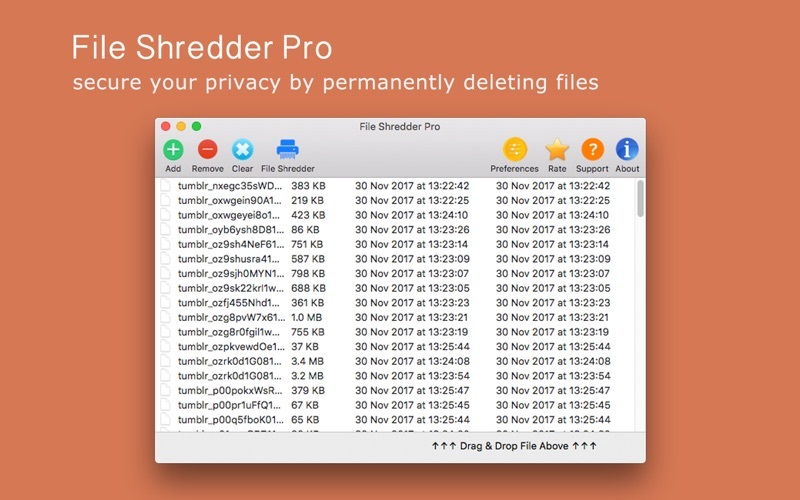 There are quite a few software tools today for retrieval of deleted files under Mac OS X. It is easy to retrieve those files using aforementioned specialized file recovery software. 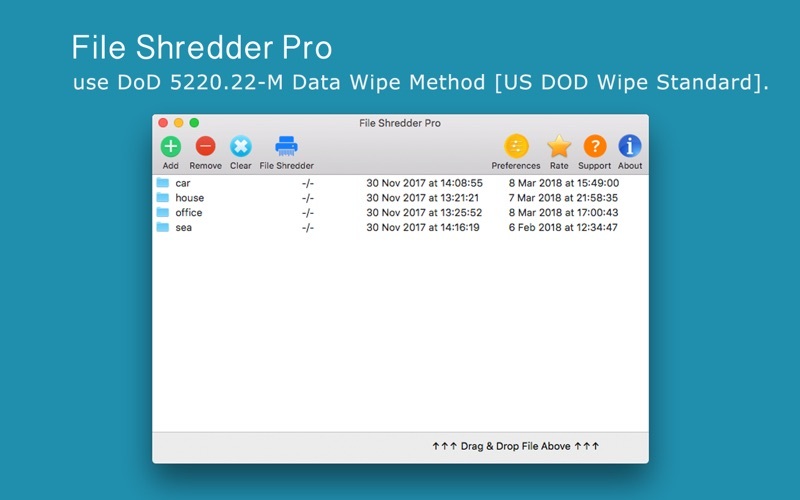 File Shredder Pro use DoD 5220.22-M Data Wipe Method [US DOD Wipe Standard]. DoD 5220.22-M is a software based data sanitization method used in various file shredder and data destruction programs to overwrite existing information on a hard drive or other storage device. Erasing a hard drive using the DoD 5220.22-M data sanitization method will prevent all software based file recovery methods from lifting information from the drive and should also prevent most if not all hardware based recovery methods. The DoD 5220.22-M method is often incorrectly referenced as DoD 5220.2-M (.2-M instead of .22-M).